Star chokers sold out, Ganesh's on our shop. 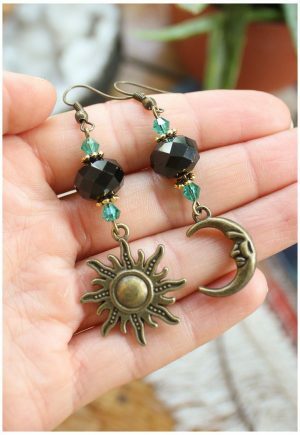 These witchy bohemian moon necklaces are one of our best sellers. A silver tone crescent moon shape with engraved detailing, set on a silver plated 18" necklace. Finished with a clasp at the back. 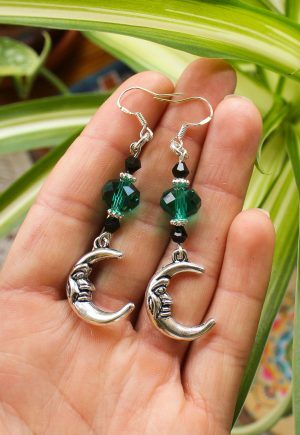 These look great layered with a shorter necklace or choker. Jewellery comes wrapped in tissue where possible.